“>As you will see from the report, we received very useful feedback that will allow us to improve our service to NGOs and civil society. We also appreciate and are greatly motivated by the encouraging comments made by some organisations. We would like to sincerely thank all organisations that took the time to participate in the study. 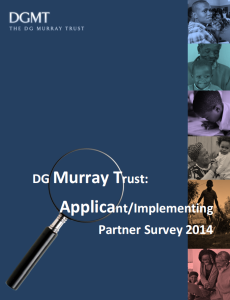 “>You can download and read the report here.